BBanglalink Amazing Internet Offer 2019 (BL Amar Offer)! The Banglalink Digital Communications Ltd is the most preferred mobile operator organization in Bangladesh. BL baring a lot of offer for BL prepaid and call & control customers, this offer name is Banglalink Amar Offer. 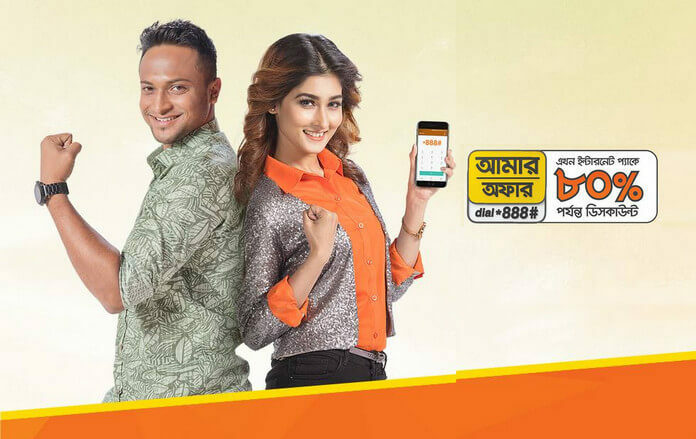 Banglalink New Special Internet Offer, BL 2019 Internet Offer, 1GB offer, Dial *888# to select your best offer. Please try this offer. Banglalink included this offer Up to 80% Discount on Internet Pack, the customer needs to dial for this offer *888# then choose 1 number option after that customers get discount internet. Banglalink customer can check today (per day) internet offer by dialing *888#, it’s a fantastic deal for Banglalink customers. Actually, this offer will update day by day. Now enjoy BL internet offer! If you would like a lot of details regarding this offer, please scan the content we have added full information clearly. Only Banglalink prepaid and call & control (C&C) customers can avail Banglalink Amar Offer. All offers are applicable only for one day. To avail Recharge offer, you must go to the USSD’s Personal menu and activate the offer by recharging on the day of seeing the proposal. After the end of internet data volume or validity, customers will be charged to the primary account balance. Note: have any questions about Banglalink Amar Offer just comment us, or contact Baglalink customer care, Banglalink customer care number 121 from Banglaink 01911304121 from other figures. Have a nice day! Thanks for reading this content, to support our website, please share this post. ?